An online slots game about basketball - what more could you ask for?? Click here for more Easy games. Michael Jordan, Lebron James, Kobe Bryant, just a few recognisable names in the world of pro basketball that you may or may not have heard of (you’ve probably heard of them if not whats it like living under a rock?). 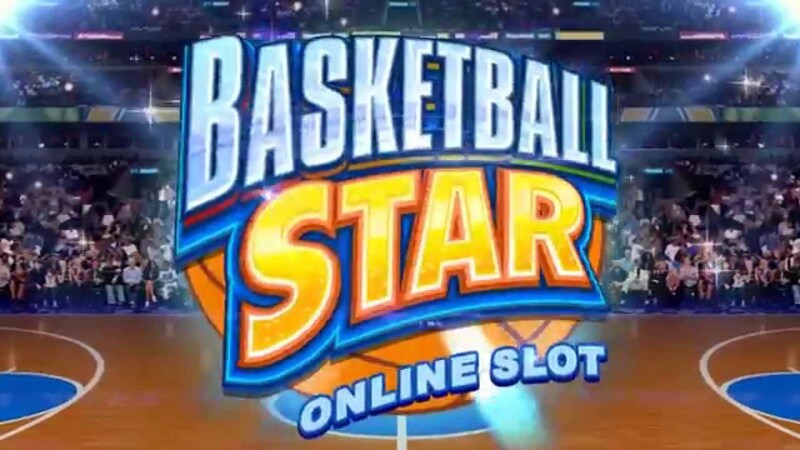 Shooting hoops has never been this fun thanks to Microgaming’s online slot Basketball Star. If you enjoy role-playing in sporting games then this is a great opportunity for you to pursue a possible dream if you so choose, and choose you will across multiple reels and pay-lines, will you go for a 3 pointer straight away or will you go for broke in the dying seconds to emerge victorious? You decide, after all you are the Basketball Star. Like the games name suggests, you will be playing curtsied with a range of different features existing to give you different levels of playability with each spin of the reels. 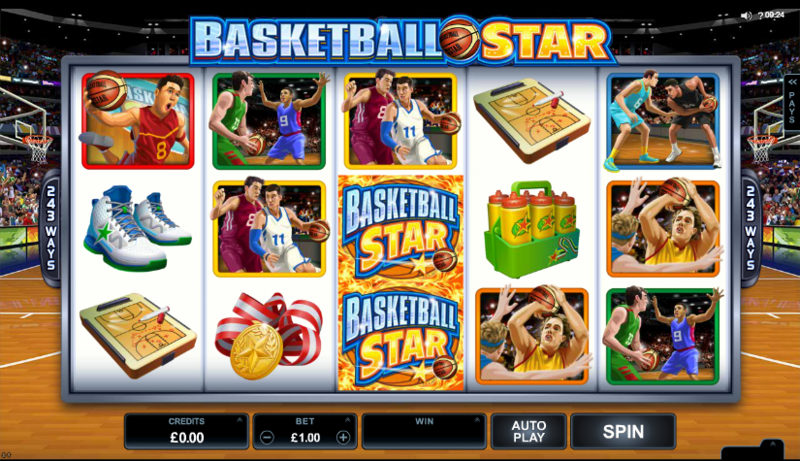 Wilds, scatters and free spins are all featured within Basketball Star. It goes without saying but this title can be played by anyone from beginners to veterans; an entry point built for pretty much all demographics, a testament to Microgaming really when you consider the difficulty in creating a simulator like this. If the thought of throwing on your best singlet and shooting for the stars appeals to you then you will definitely want to be playing yourself some Basketball Star. In total there are 243 ways for players to win in this title: a number that is very generous considering other slots in the market being not so fruitful. Not to mention that the graphics happen to be well above superb, the court-side backdrop plays very well in crafting an immersive experience for players, one that is not easy to remove from memory, but then again why would you want to forget about a great title such as this one. As with most slots, each symbol on the reels represents a different numerical value when matched on the reels themselves, you will often forget about this due to the pretty lights but we’re only re- mentioning it here so that you wont’t forget! Aren't we just the best. Now go play Basketball Star. An equally outrageous game is our Sunny Money slot.